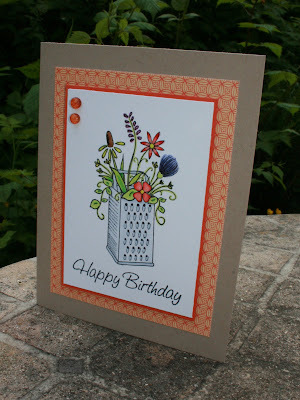 The Grater Floral image is one of my favorites out of the new stamps over at The Rubber Cafe. 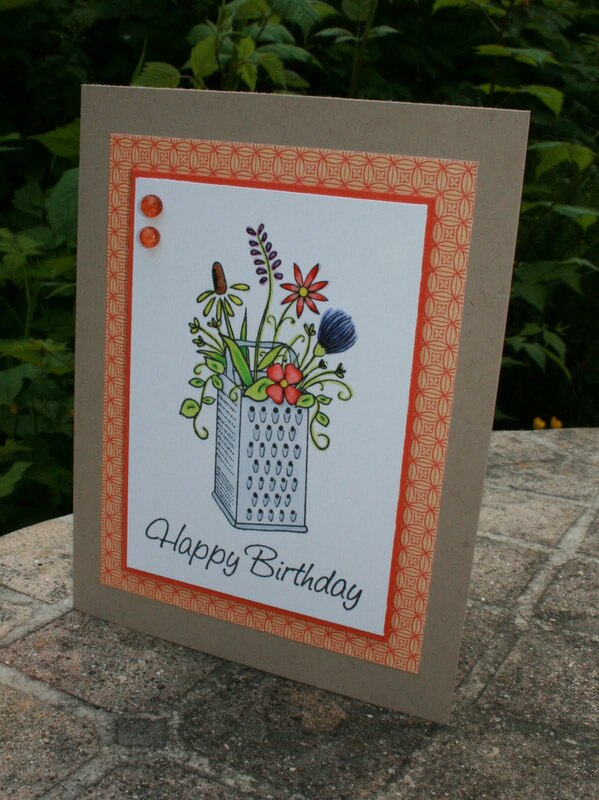 I've been wishing I owned a box grater so I can recreate it ever since I saw it. I think I'll be on the look out for one at a garage sale or the Goodwill this summer. How often can you say you get all the crafting joy that comes with a great image AND inspiration for decor at the same time? I colored in these flowers with copics and added the Happy Birthday sentiment at the bottom. I wanted to keep this layout simple to let the image shine...literally! I added diamond glaze over some of the flowers to give it that special something and a few dew drops. Another Fabulous Fun Fold Card!